This book reveals what it means to engage in the practice of inquiry as a spiritual path: its principles, its challenges and its rewards. Almaas explores basic elements of the practice including the open-ended attitude, the focus on direct knowledge, the experience of not knowing, and the process of questioning. He also describes the recognition and experience of inner guidance, which he calls Diamond Guidance, and much of the book he devotes to investigating this richness and how it can be realized. "This book is designed to open you up to the nature of this most mysterious and personal journey. 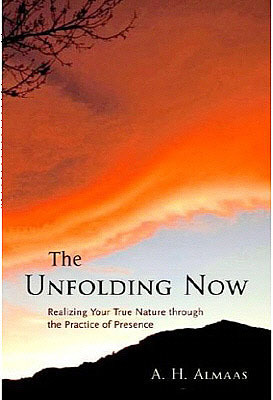 It is not a travelogue of magical and exotic places but an awakening to the capacities and possibilities in your soul for participating in the inner unfolding of your Being. What follows will orient your self-exploration so that you can recognize and encourage the implicit guidance that arises as you travel your own inner space. And as the journey continues and your awareness deepens, you will learn to appreciate the subtleties, the richness, and the intimacy that is yours as you follow the path of inquiry." appr. 34,50 € - ISBN: 9781570628597 - HIER können Sie bestellen / You can order HERE. Intelligence is one of the defining characteristics of human beings: an inherent ability to respond to the world with awareness, knowledge, learning, and insight. 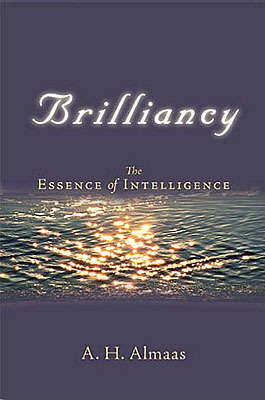 Most considerations of human intelligence are based on the notion that intelligence is a product of brain functioning. A. H. Almaas introduces here a radically different viewpoint, one that recognizes an actual quality of consciousness as the source of intelligence. He calls this source the Brilliancy of our true nature. The presentation of his understanding of intelligence is followed by in-depth dialogues with his students on the various barriers to recognizing and embodying this essential quality. In particular, an unresolved relationship with one's father is found to shape the experience of Brilliancy. Using a Socratic method that draws upon techniques of body-centered, Gestalt, psychodynamic, and cognitive psychologies, Almaas helps participants work through their defenses and conflicts surrounding this issue and then, diverging from pychotherapeutic practice, guides them in discovering their own Brilliancy. appr. 30 € - ISBN: 9781590303351 - HIER können Sie bestellen / You can order HERE. The hidden richness that rests in our life, in our heart, in our experience is here—not over there, in some better life, in some other house, in some other career, in some other relationship or country or spiritual school. One time, perhaps, we actually knew that—and then we forgot. From time to time, we are reminded by others of that richness, or we rediscover it ourselves. But over and over, we forget. When we lose touch with the fullness of who we really are, when we ourselves cannot recognize or appreciate it, when it is invisible to us or seems inaccessible, the knowledge that we are the location and source of what we are seeking is only abstract information, irrelevant to our personal situation. It cannot affect who we are or how we live if we can’t find this richness in our immediate experience, can’t feel it or taste it or sense it directly. In fact, what we find is that most everything in our life works against our turning that knowledge into the currency of personal inner richness. appr. 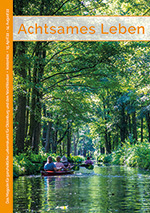 19,90 € - ISBN: 9781590305591 - HIER können Sie bestellen / You can order HERE.